Most of you know my obsession already with Corto Moltedo's Cassette Clutches, but I am proud to announce that I am officially breaking that obsession and starting a new one: The Havana Bag. I was lucky enough to be one of three owners to have it (it's en route from Italy right now). 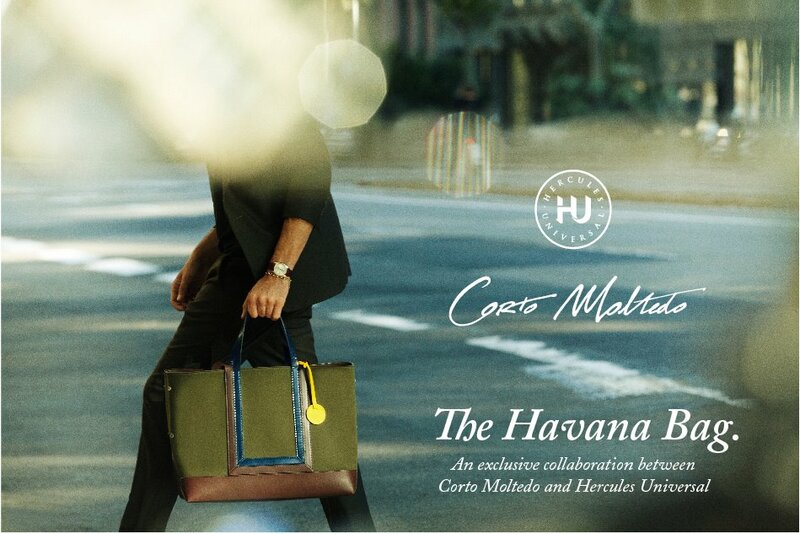 Produced in collaboration with Hercules Universal Mag, the Havana is masculine while remaining whimsical and young. I absolutely love structured bags with color, and this fits the bill to a "T". I'll let you know when my new love arrives with photos.